Two stunning beaches, an old town brimming with bars, and located within striking distance of Pamplona's yearly fiesta are just a few of appealing features could have me on the next flight to Spain. 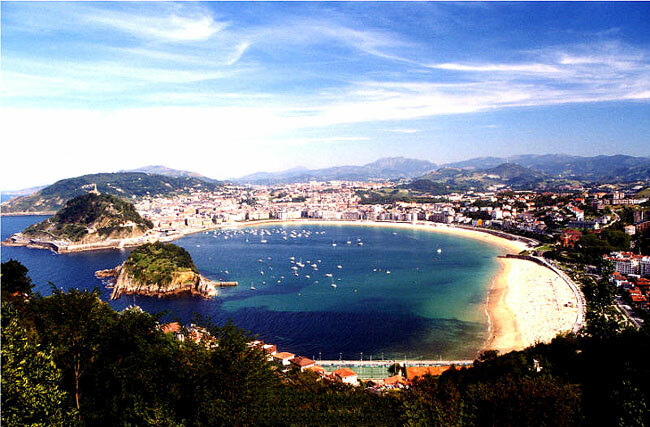 Known officially as Donostia-San Sebastián, in the Basque Country of Spain it's metropolitan population of 405,099 is just barely enough to satisfy my 'big city' desires. San Seb has one of the best 'Old Quarters' in Europe, playing host to nightly rowdiness spilling out from the many pubs and nightclubs onto it's narrow streets. And the old quarter isn't only great for boozing; Renowned for its Basque cuisine, San Sebastián features tasty snacks similar to tapas called pintxos, found at the traditional bars of the Old Quarter. The laid back bar culture of sampling pintxos while sipping freshly made Sangria would be enough on it's own, were it not for the scenery. The city's most eye catching feature is the living postcard that is La Concha bay; a crescent beach accented by a small island at the mouth of the bay. The other beach, Ondarreta, does not have an Island to block the waves coming ashore and as such it is a popular surfing destination. This city is paradise and it is no wonder that Basque separatists want it all to themselves. If I had any grounds to lay claim to San Sebastion I too would be creating a stir. 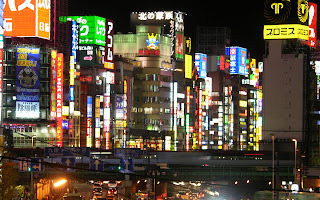 It's hard for me to say whether I love Tokyo or all of Japan. So far I've only skimmed Japan's surface with a brief, 8 day, visit to Tokyo but a friend I met whilst there said it best when he stated "Tokyo is like a massive theme park." And hey, who wouldn't want to live in a theme park. I had high expectations when I left Australia for Tokyo in early 2010, so high that I worried it could never be good enough. A childhood of watching Pokemon and Dragonball Z had positioned me for what could've been a major disappointment. The fact that it wasn't is why I love Tokyo so much. Tokyo exceeded my expectations. The food, the culture, the nightlife: all stunning. 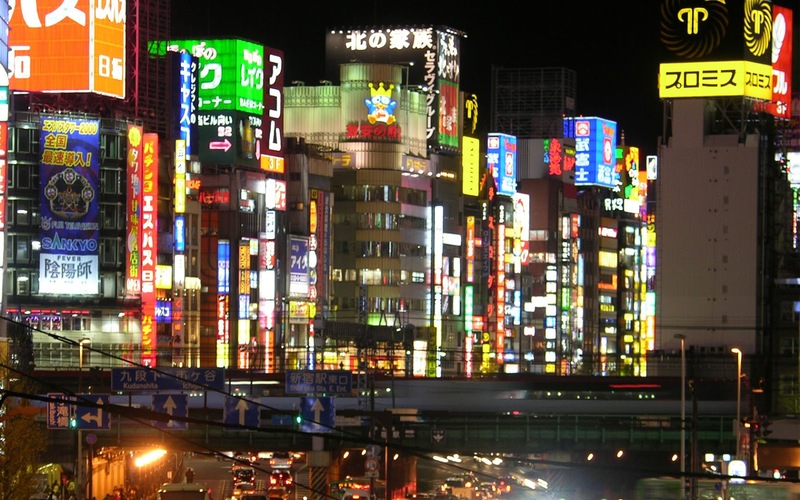 Tokyo is one of the world's largest cities, combine that with an amazing history and you've got a city that could be explored for years. A major draw for me is the food; I love Japanese food in all forms. Even the food from 7-11 in Japan is delicious, but maybe that should be expected from a country where using the toilet can be a fun experience. The North American toilet industry is leaps and bounds behind the technological marvels called 'Washlets" commonly found in Japan. Alas, my love for Tokyo isn't constrained to eating and shitting. I love the apparent socio-cultural rules that everyone follows so strictly; that is, until they done a funky costume and prance about town on the weekends, or when the most conservative of salary-men can be found blacked-out drunk doing loops of a subway line at 6 AM. the diversity that has arisen within the capital of one of the world's most ethnically homogeneous countries is something to behold and it is something I wouldn't mind experiencing daily. There are many cities in Germany which have had me ready to pack up my life and move, so I have chosen the one city which draws me the most and like a moth to a lantern it is Berlin. I'm not sure why I have an affinity with Germany, maybe it's the beer, but since I first went there, whilst backpacking Europe in 2006, I have wanted to live there. I managed to swindle a two month summer exchange in Kassel, Germany two years later. Kassel was a great base-camp for travel to other parts of Germany and as a result I had an amazing summer. Needless to say, I will go back to Germany soon. So why Berlin? Berlin is truly a 'world city.' Since the fall of the wall it has become a center for art, design, multimedia, electronic music, and fashion among other things. 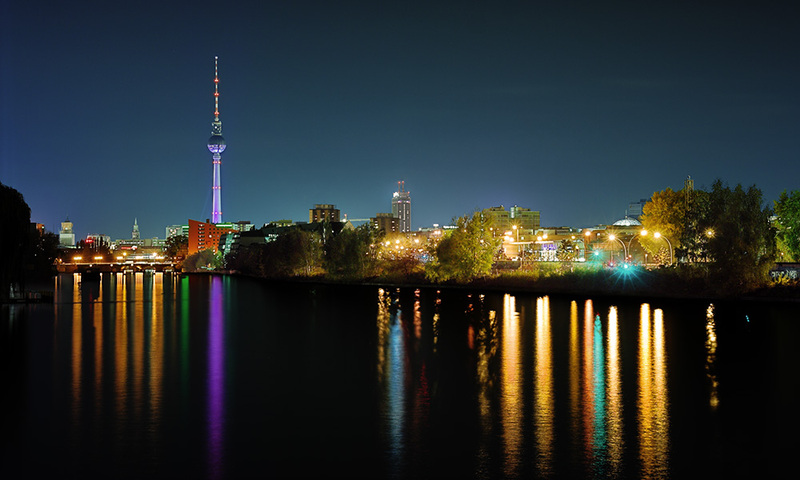 The club scene in Berlin is one of the biggest and most progressive in Europe culminating in the throbbing nightlife of the Kreuzberg district. With a population of 3.4 million people it is Germany's largest city and more than sixty percent of Berlin residents have no registered religious affiliation, thus, Berlin is said to be the atheist capital of Europe. Berlin's has managed to shed it's rocky past and arise as one of Europe's (the world's?) greatest cities. I can seriously see myself living in Berlin in the near future and hopefully one day I will be able to proudly proclaim "Ich bin ein Berliner." Until a few years ago I would've considered Sarajevo an unlikely candidate for this list. Far too recent memories of watching newscasts as a child which depicted a war-torn land seemingly beyond hope, however, when I finally travelled to Sarajevo I was pleasantly surprised. Today, Sarajevo is worlds apart from the devastation it saw in the mid 1990s though bullet holes and shell craters still serve as reminders of a difficult past and a symbol of the strength of those people who lived through the conflict. 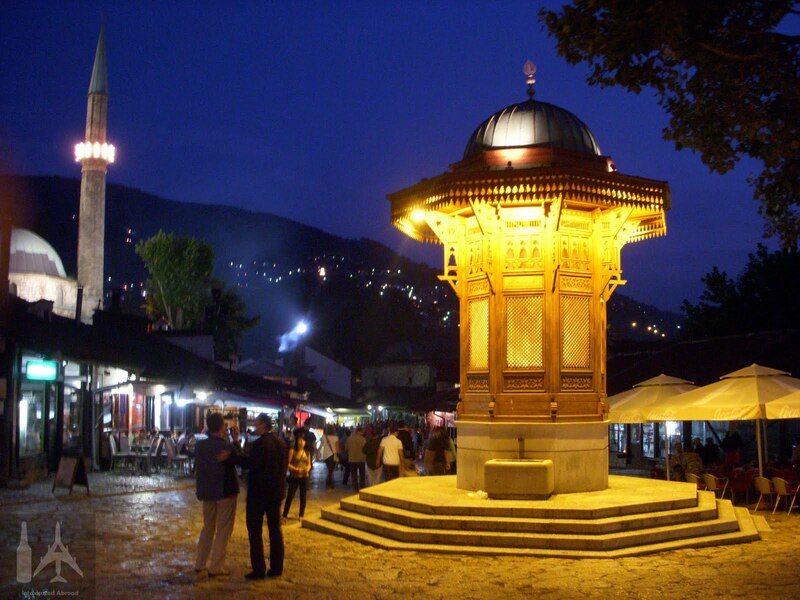 Sarajevo is one of the Europe's most historically interesting cities. It is the place where the Western and Eastern Roman Empire split; where the people of the Roman Catholic west, Eastern Orthodox east and the Ottoman south, met, lived and warred. In 1914 it was the site of the assassination that sparked World War I, and more recently became the host city of the 1984 Winter Olympics. It is from this diverse history that Sarajevo has developed a very unique feel. It is both European and distinctly Oriental. Calls-to-prayer from the city's many minarets among the cobbled streets, mosques and Oriental style shops could have one thinking they were in the Middle-East. In the city's central 'old town' or Stari Grad the Ottoman influence can be seen, felt and even tasted. The one thing that seems to be on every menu in Sarajevo is ćevapi; a dish of minced beef sausages on flatbread served with onions and kaymak cheese. Cevapi is delicious and it is nearly reason enough to move to Bosnia. Sarajevo is yet to be fully on the tourist map and that certainly wont last. Sarajevo's East meets West vibe combined with awesome food and friendly people put it on my map of places I would like to live. Asia 101 for westerners; all the gastronomic and cultural delights without the hassle of language barriers or under-developed infrastructure. The natural fusion of Indian, Malay and Chinese culture and the nearly total lack of crime, poverty or homelessness make Singapore a very appealing place to live. Exploring Singapore's many ethnic neighborhoods and sampling culinary fare from around the world in the relaxed setting of a food court is what made me fall in love with Singapore. I love all of Southeast Asia but what keeps other great cities like Bangkok and Saigon off of this list is the heat and humidity. Singapore is no different and as a tropical country doesn't has the seasonality that I desire, however the presence of air-conditioning, seemingly, anywhere possible makes it bearable. Additionally, Singapore's Snow City is an artificial ski hill that could provide a much needed cold oasis away from the tropical heat. A slight deterrent from moving to Singapore is the alcohol prices. Alcohol is highly taxed in Singapore making nights on the town very expensive relative to Asia. That being said, most of the alcohol prices are comparable to Canada, so there isn't a great deal to complain about. The high alcohol prices seem not to have had a negative effect on Singapore booming nightclub scene. European style super-clubs are frequented by the world's best DJ's usually for prices far lower then in most western countries. 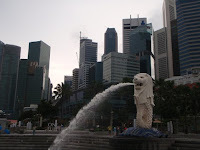 Singapore's greatness comes not only from the many cultures represented within it, but the unique cultural blend and co-existence that is found almost no-where else in the world. Hmm.... Japan, Singapore and Germany. I never realized before, but looking at this list now it seems I may have a thing for social order. As I prepare to depart for another lengthy backpacking trip I can only wonder how many more beautiful and livable places I will come across. 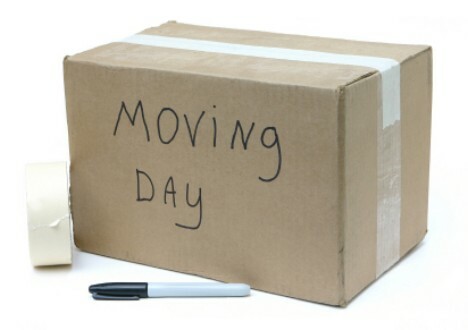 It seems that for the majority of the next year I will call my backpack home.